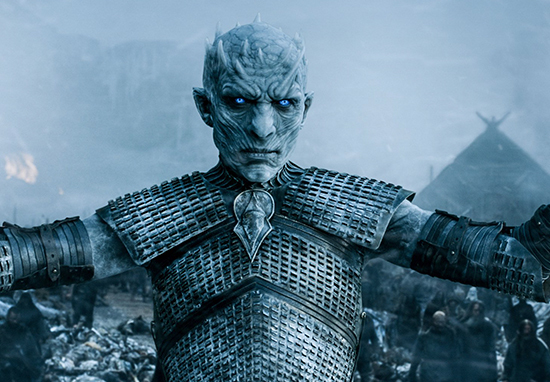 Finally, some news that Game of Thrones fans can actually get properly excited about. After countless teasers of tattoos, cast photos, meet-ups and even weddings, we now have substantial news about the what made us all fall in love with GoT in the first place – the series itself. While the show has always promised to go out with a bang – with more deaths, more battles, and (hopefully) some final resolution to the stories of the Starks, Lannisters, and just about everybody we want to see survive or meet their gruesome end – there’s one question that has always been met with vague answers – when. When will we get to see this monumental finale actually happen?! Though fans have known for a while the final series would air in 2019, it has now been revealed season eight will premiere in the ‘first half’ of 2019. That’s good, right?! At least it’s closer than the second half of 2019! Most series so far have aired between March and April, as Entertainment Weekly reports, so it’s probably safe to presume season eight will also air around then. Then again, this is GoT, so you never know. For those already mourning the end of one of the greatest television series ever (can you tell I’m a fan? ), fear not – a Game of Thrones prequel is already in the works, and as GoT itself comes to an end in 2019, the prequel is to start production the same year. According to George R.R. Martin himself, the prequel is going to be even darker than the original. Details on which lore of Westeros will be dramatised has remained under wraps. Thankfully though, Martin has given fans a small idea of what they can expect. So, if you’re a Game of Thrones fan, it seems there’s still a lot to be excited about.